“I like that, because more than a manager, I’m a fan. When I have to choose, those are the type of teams I like to watch,” he said. “Barcelona, I love to watch, first because I am a fan of the club, I grew up there, and especially because we are in a unmissable period in terms of seeing their great players, especially one (Lionel Messi). “I am happy that in Italy, Napoli are playing in a quite similar way. I identify quite well with how they play and how they want to do things. Guardiola includes Liverpool, City’s opponents on Sunday, in the list of high-quality attacking teams in the Premier League. 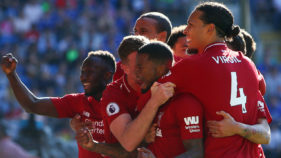 “I think Liverpool are playing like Liverpool were in the past, with all their history,” Guardiola said. “The fans are demanding attacking football. Liverpool have to defend their whole history. “In the 1980s, they dominated the world and European football. I think they are trying to respect that. 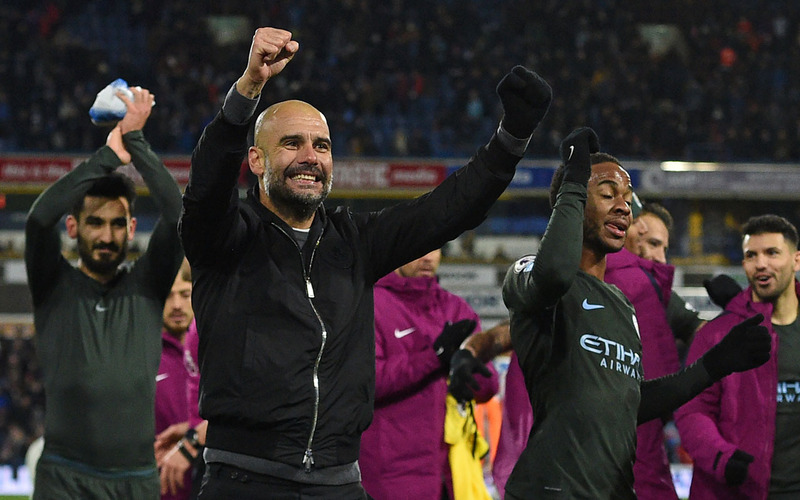 Few would expect City to stumble in this season’s contest for the Premier League title, given they are currently 15 points clear at the top, yet Guardiola has warned it is still possible. “In football and in sport, anything can happen. Of course, we can lose the title, because you never know what is going to happen in the next 13 or 14 games. The Spaniard added: “If we start to go down, and lose confidence, and don’t play well regularly, then we will see. “Maybe that is going to happen, and I am going to shake the hand of my opponents and congratulate them for being champions. “You will always be judged on the result. I always try to say to the players: ‘Don’t read too much about what is done’.